Not only gorgeous, but equally as fun! This sorting box is a classic toy that helps little ones develop their motor skills all while enjoying themselves. Turning the blocks the right way round and finding the right hole is an exciting challenge for little hands! 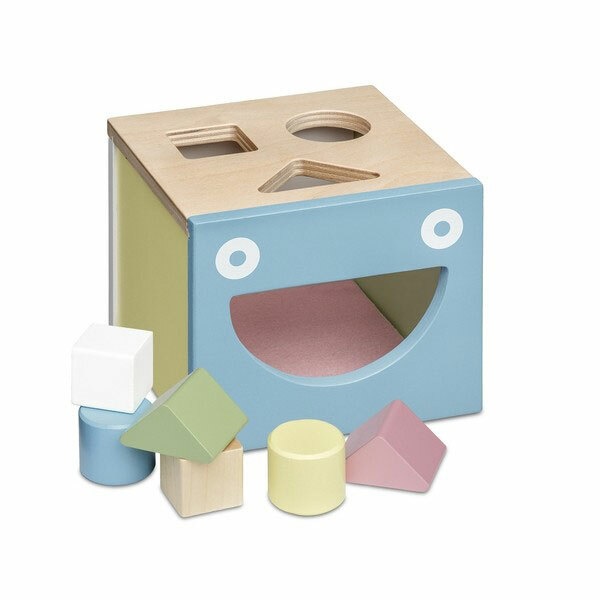 When the blocks are in the box, you can put your hand through the smiley mouth on the sorting box, take the blocks back out and start all over again. The bottom of the box is covered with felt to reduce noise as each block drop down.